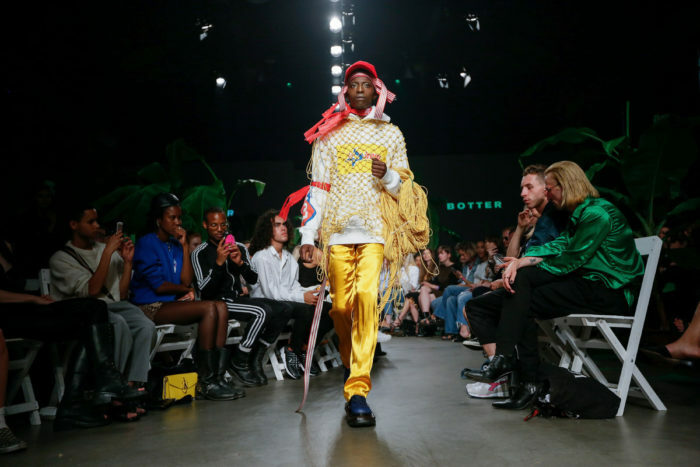 Botter might only just have graduated (in Antwerp at the Koninklijke Academie voor Schone Kunsten), there’s no stopping him. 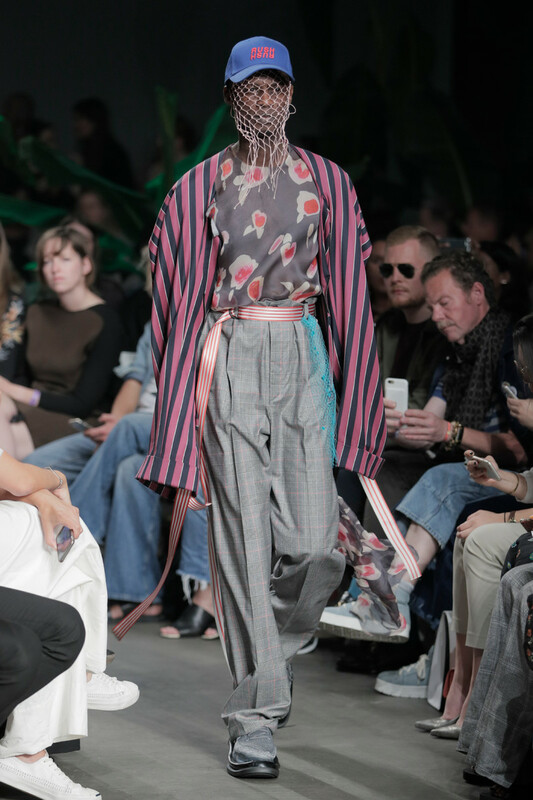 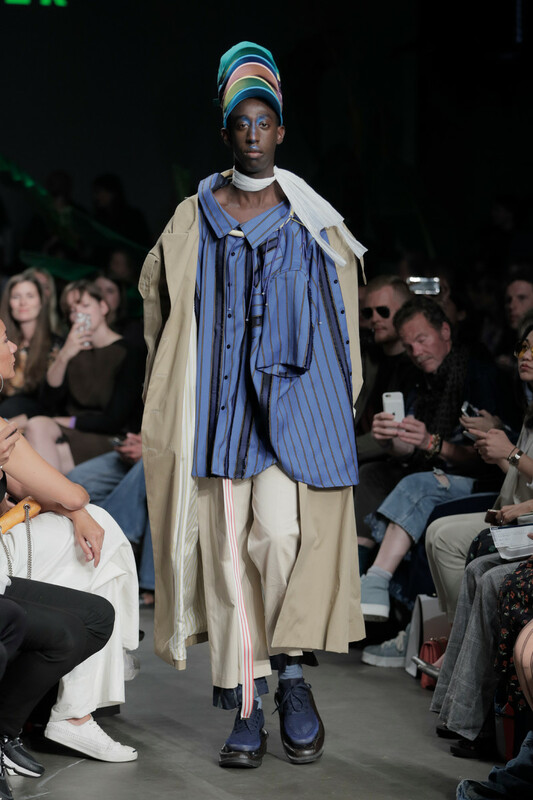 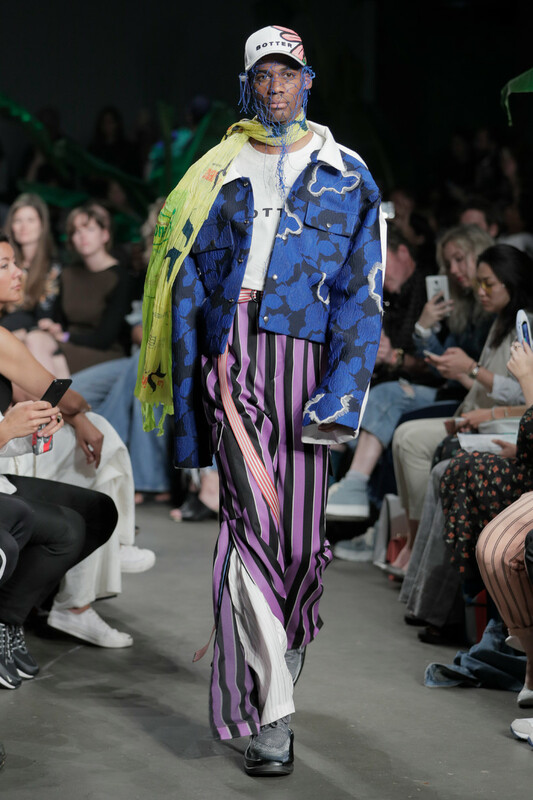 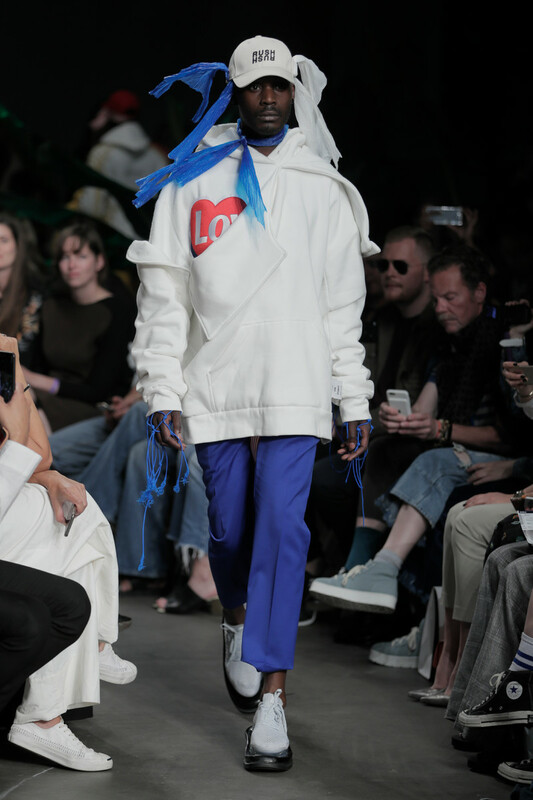 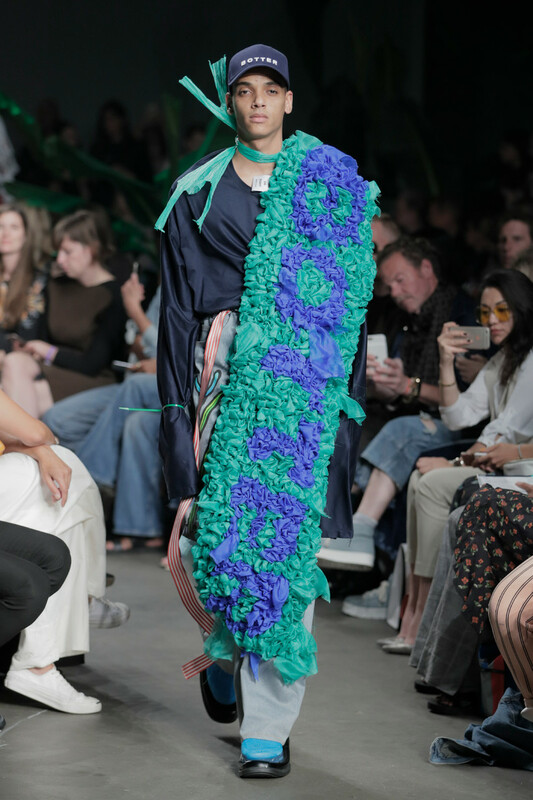 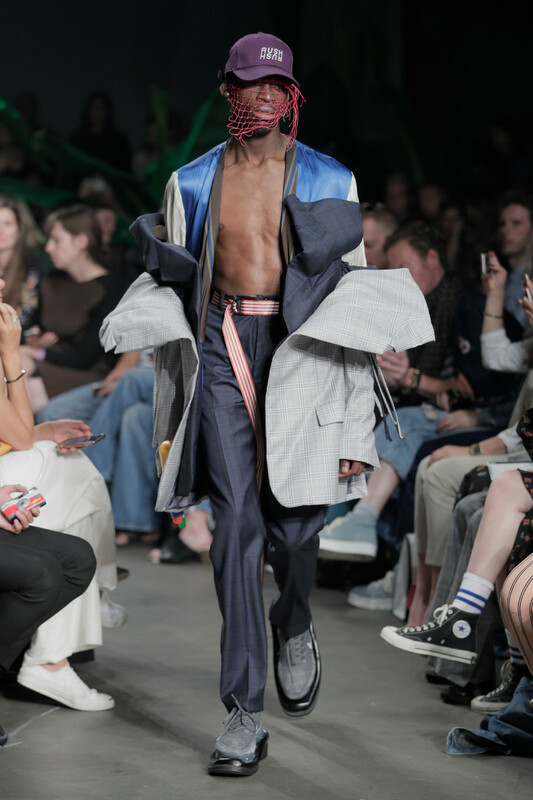 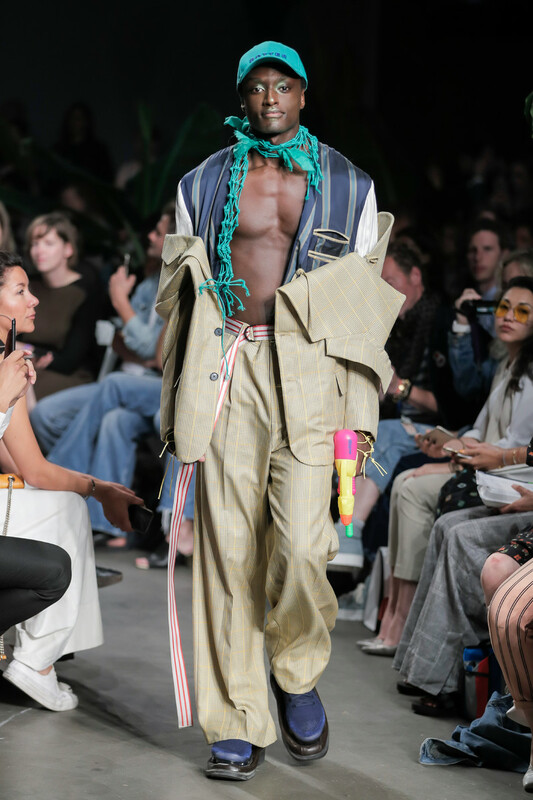 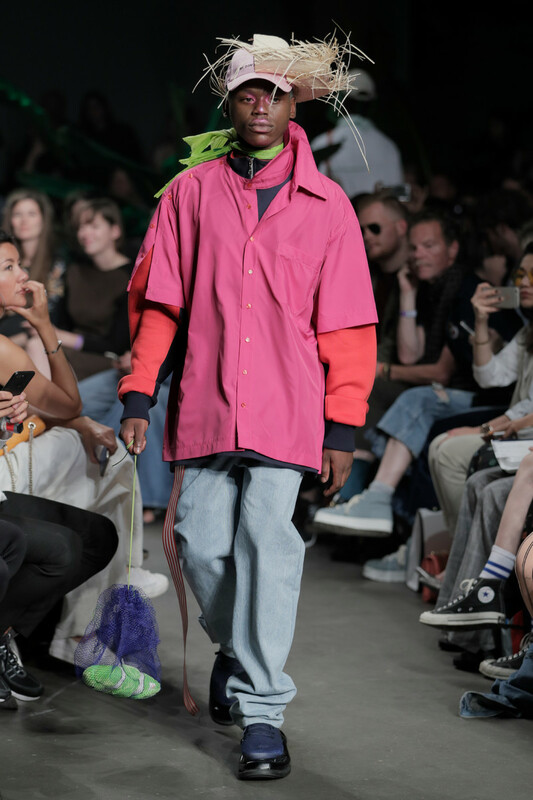 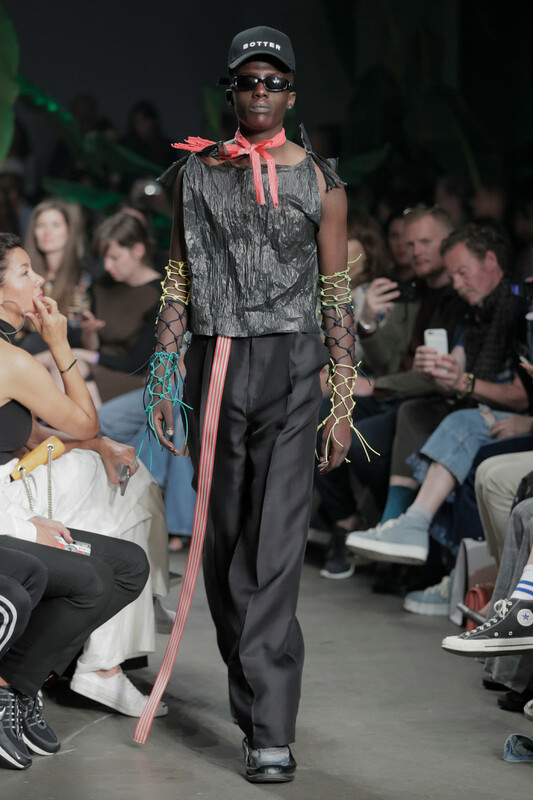 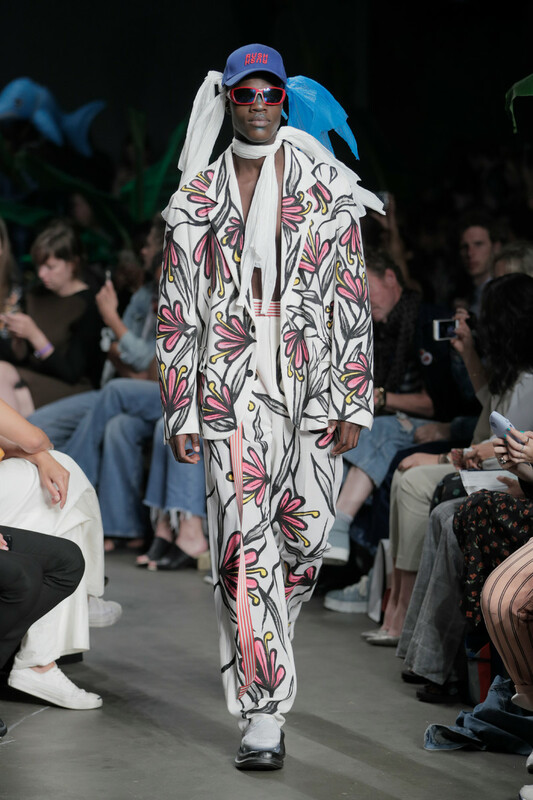 After having showed at New York Fashion Week last year he presented his graduation collection, which already made him win five different Belgian awards, in Amsterdam today. 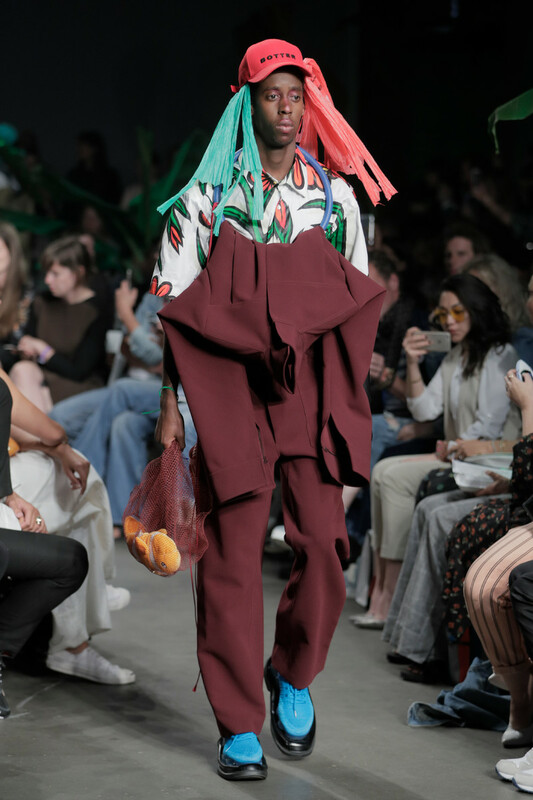 Tropical vibes and Sting’s song Fragile from the speakers and Botter’s men appeared, ready to make a statement. 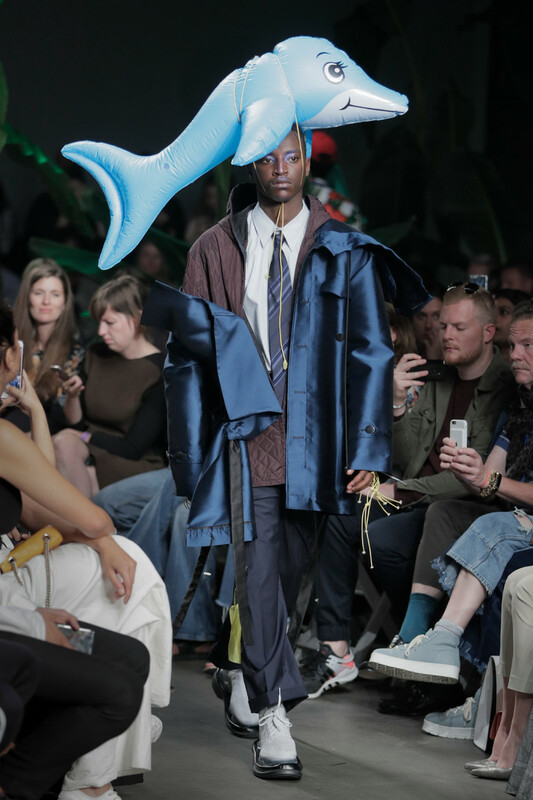 Inflatable fish and multiple caps on their heads, fishnet tied around their arms and tossed over their bodies, a Shell logo at sight and you too can do the math. 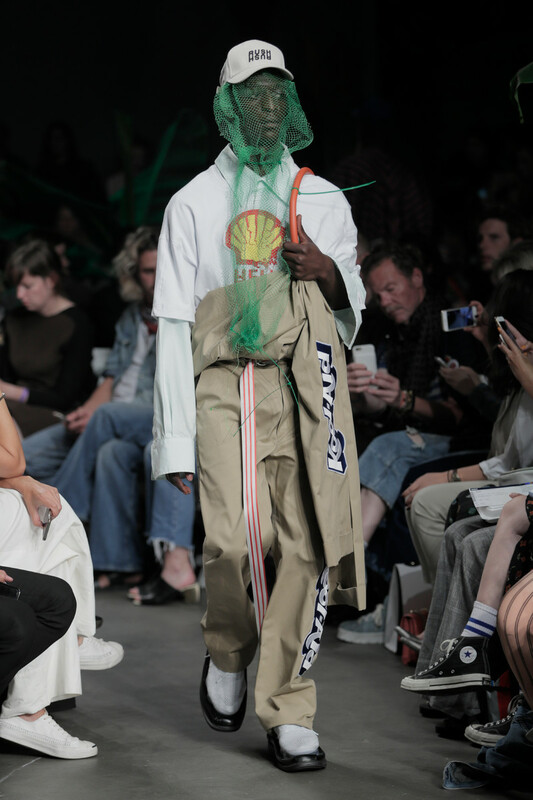 Botter’s message was about polluted oceans and beaches. 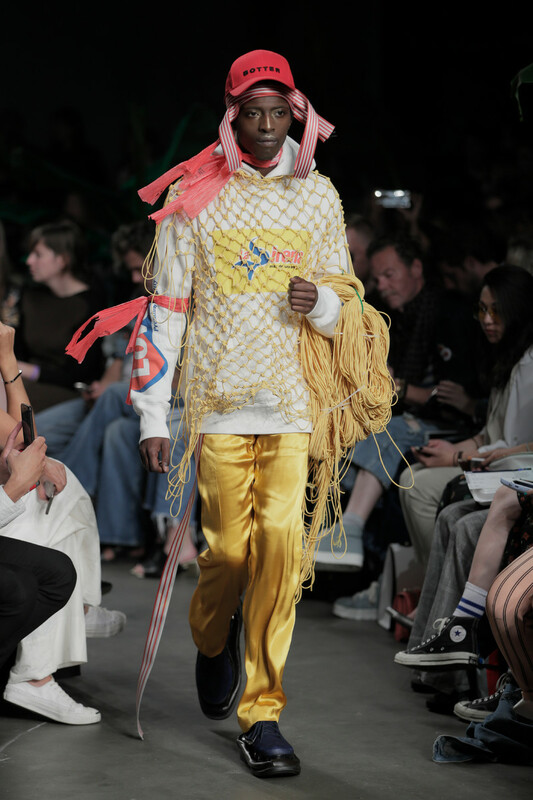 And even though this political message was loud the designer’s vision on fashion spoke out too. 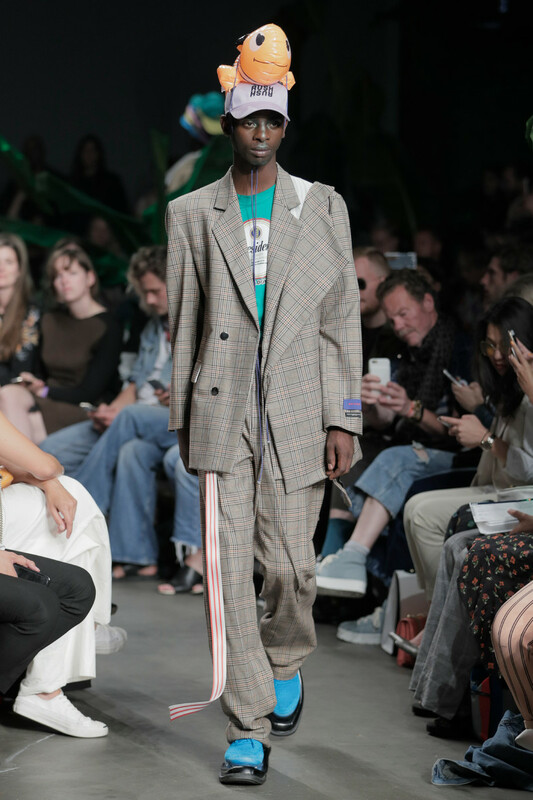 It was that of oversized suits, sweaters, stripes and beautifully mixed colors.